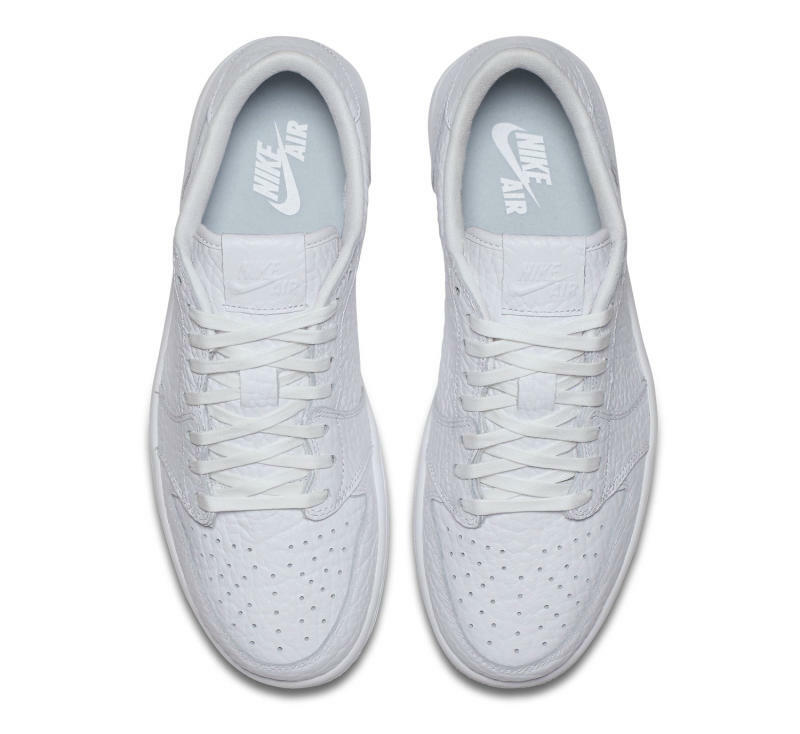 Another No Swoosh 1 Low on the horizon. 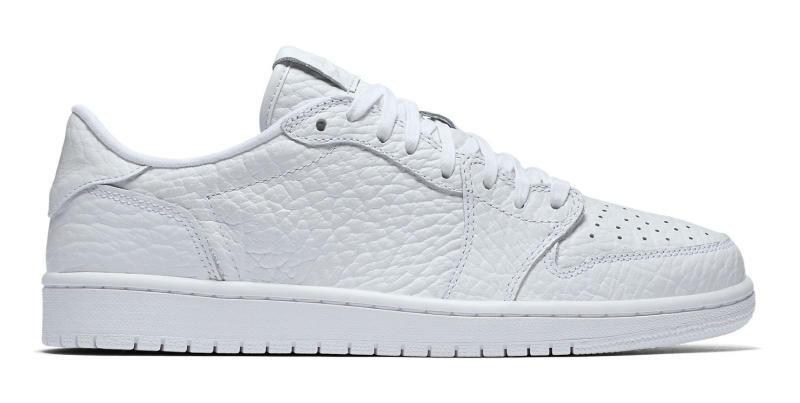 This weekend marks the release of the latest, and perhaps the most sought-after, of the Air Jordan 1 Low No Swoosh styles. Releasing on Saturday, July 16, is the "Triple White" colorway seen here. 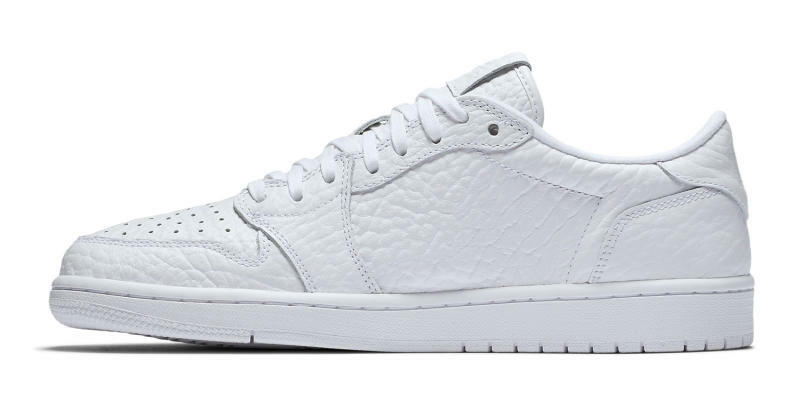 The Air Jordan 1 Low NS is a clean shoe regardless of colorway thanks to the lack of branding, but this pair manages to look even more pristine with its white on white on white scheme. 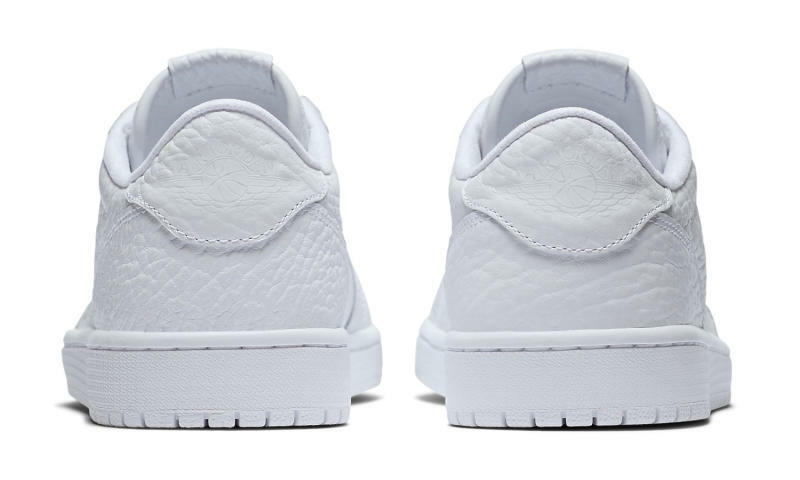 The Air Jordan 1 Low NS "Triple White" will retail for $150 upon its retail arrival on Saturday.